GET A FREE WEBSITE DESIGN QUOTE! Our bespoke website design are created from a blank canvas without the use of templates, designed specifically to meet your needs web site needs. Control your own website content and free yourself from costly content additions and website updates. Our self maintained websites provide you with the freedom to add additional pages when needed and edit your web site content via your personal online admin control panel. Full online support is available for all self maintained packages. Take control of your online store - No monthly payments - Update and add your products and pictures with ease, all updateable from your personal online control panel. Is your site visible in search engines? How much traffic is your site attracting? LMD search engine consultants provide a website optimisation service and will also integrate website analytics into your website pages to monitor traffic maximising effectiveness. Hundreds of businesses spend vast amounts of money on marketing to attract new customers... Very few spend the little amount needed to sell to your existing customers. Try our HTML e-mail campaign builder. As your business expands so can your website. All our packages can be upgraded as your business grows providing you with the best solution to meet your requirements. You can have the best looking website on the net... but if no one can find you its value and revenue earning is reduced considerably. LMD search engine consultants will assess your existing website and amend its search engine friendliness to maximise its performance. Is your website restricting your business potential. With a few simple upgrades or modifications you could be benefiting from the Internet and stepping ahead of your competitors. How optimised is your website for search engines? The golden rule of getting high visibility in Google searches is 'Website Relevance'. Keeping this in mind as your primary target... You can be visible in search engines and searches made for your target keywords and target keyphrases. Each page on your website should be treated as an individual advertisement for your business targetting your primary keywords for results in search engines. Trying to cover several topics on one page will only dilute its potential for high visibility. Get Listed In Google within 7 Days! Don't deceive your users or present different content to search engines than you display to users, which is commonly referred to as "cloaking." Do provide relevant information that will benefit or provide a service to users. Avoid tricks intended to improve search engine rankings. A good rule of thumb is whether you'd feel comfortable explaining what you've done to a website that competes with you. Another useful test is to ask, "Does this help my users? Would I do this if search engines didn't exist?" Do implement good site architecture enabling users to access the relevant information. Don't participate in link schemes designed to increase your site's ranking or PageRank. In particular, avoid links to web spammers or "bad neighbourhoods" on the web, as your own ranking may be affected adversely by those links. Do provide or accept links from sites with good Page Rank that are of benefit to your users. Don't use unauthorized computer programs to submit pages, check rankings, etc. Such programs consume computing resources and violate the Quality guidelines - specific guidelines outlined by many Search Engines. Do submit your web site information manually to directories and search engines to ensure the relevant information is correct. Sitemaps and sitemap feeds provide excellent means of providing the latest information about your site to search engines. Avoid hidden text or hidden links for example white text on a white background. Do implement good navigational hierarchy and web site architecture. Don't use cloaking or sneaky redirects. Do provide pages containing relevant content to meta data. Don't send automated queries to Google. Do provide tools depending on the nature of your sites content to allow users to access additional and useful information. Don't load pages with irrelevant keywords. Do provide relevancy in page content to keyword meta data. Write good content for users not search engines. Good web site design will enable maximum search engine optimisation. Don't create multiple pages, subdomains, or domains with substantially duplicate content. Don't create pages that install viruses, trojans, or other badware. Do create pages without script errors and correct formatting. Avoid "doorway" pages created just for search engines, or other "cookie cutter" approaches such as affiliate programs with little or no original content. 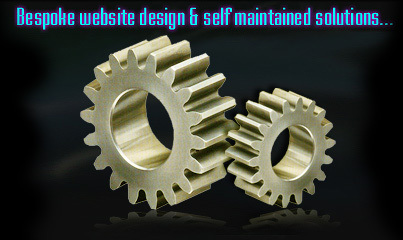 Do create pages with good site architecture so users arriving from search engines can access the relevant information. Each page on your web site is a potential gateway from a search engine. Use each page as an individual advertisement and promotion for content keyphrases. If your site participates in an affiliate program, make sure that your site adds value. Provide unique and relevant content that give users a reason to visit your site first. If you are unsure if your web site adheres to the strict guidelines required by search engines contact us today for an initial appraisal of your web site. ENQUIRE TODAY! © Copyright 2019 . 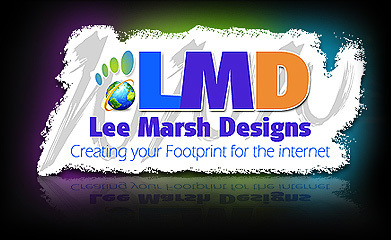 Lee Marsh Design. All Rights Reserved.